If you visit Starbucks today, you may want to pass on the sandwiches; the company has just recalled food due to fears of a massive E.coli outbreak. Have you had your coffee yet today? If you’re planning on stopping by your favorite Starbucks location, you might want to skip on the sandwiches for lunch. According to a report from Bloomberg, the company has recalled its holiday run of turkey paninis from almost 1,350 stores last week after the ingredients in the sandwiches were linked to the same E.Coli outbreak that hit Costco Wholesale Corp last month. The sandwiches were part of a new holiday offering at Starbucks, and were pulled from shelves in stores in California, Oregon, and Nevada. According to Jane Schaeffer, a spokesperson for the company, no other markets had been affected by the outbreak. There have been no reports of illness to date. The culprit behind the recalls is the celery found in the cranberry cornbread stuffing. The Centers for Disease Control and Prevention identified celery as the cause for concern in Costco’s premade chicken salad sandwiches, and has caused illnesses in 19 people across seven states so far. The celery in question was linked to Taylor Farms Pacific, Inc.
Starbucks is not alone in this nationwide E.Coli scare; Chipotle Mexican Grill Inc. has also faced significant struggles in keeping their supply chains E.Coli-free this year. Unlike the most recent case, investigators are still searching for the source of the bacteria in the Chipotle case. 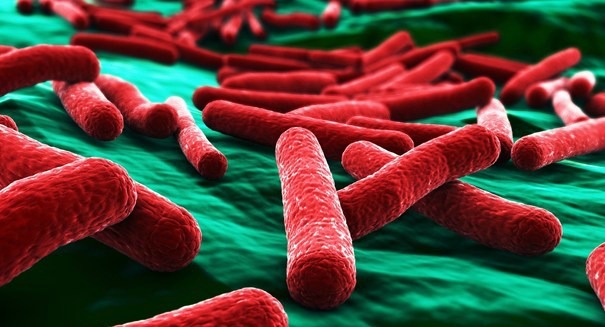 E.Coli is a common component of the intestinal microbiome, but certain strains can cause serious illness. Infection from E.Coli can cause diarrhea, kidney failure, and disproportionately affects young and elderly people. A press release describing the source of the tainted celery, Taylor Farms Pacific Inc., from the FDA, can be found here.